The Shar Pei is an ancient and distinguished “wrinkle” dog which is also known as the Chinese Shar Pei. This breed originates from the Guangdong province of China and was bred to guard palaces. For a time period they were used for hunting and herding stock animals. 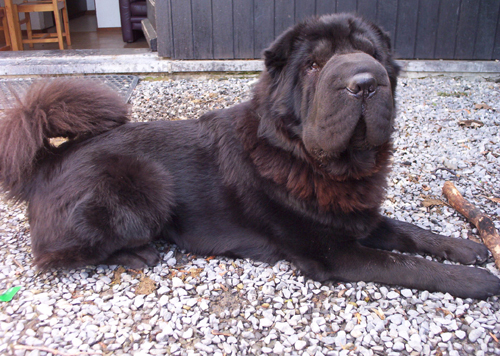 Shar-Peis are considered a rare breed from the Han Dynasty (c. 200 B.C.) and were not recognized by the AKC until 1991. The breed gained some popularity in the 1970’s in the United States. Many breeders rushed to produce these unique canines which caused the breed’s physical characteristics to change. Their wrinkles and rounded snout were exaggerated compared to their ancestors and as a result they developed a significant number of health issues. 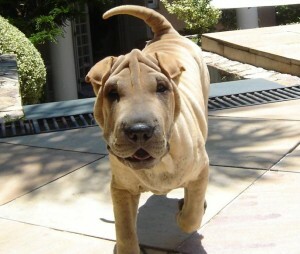 The name Shar-Pei is believed to come from the Cantonese word “sa peih”, which translates literally to “sand skin”. As puppies, Shar Peis have loose and wrinkly skin, but as they mature they tend to grow into the skin and have far less wrinkles. Shar Pei puppies need proper socialization with children and strangers. Early training and abundant social interactions may help prevent or reduce problem behaviors later. As they were bred to be guard dogs, Shar Peis are known to be highly suspicious of strangers. A slow introduction and caution is advised when exposing Shar Peis to unfamiliar people. These canines have a tendency to be territorial and may be aggressive, even if well socialized. At heart, they have a desire to perform their duties as a watch dog. Shar Peis are trainable, but can be very stubborn. They respond best to clear rewards, commands and repetition. They need firm and consistent handlers. Shar Peis usually bond very well with their families. They are extremely loyal, devoted, and affectionate pets. Generally, they are silent dogs and only bark if they are worried or alarmed. Their strong hunting background means they might harass wild animals and livestock if they wander. They tend to be predatory towards cats, rabbits and other small animals people often keep as pets. They don’t do well with other dogs and don’t belong at the dog park. 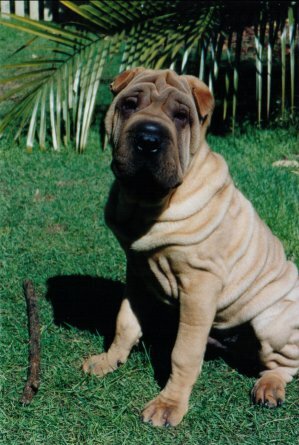 Many people may be sensitive to the Shar Pei’s skin and fur. This can result in short term rashes developing on the arms after contact. Sharp Peis have short fur that requires little grooming. Their unique coats are medically predisposed to allergies, skin infections, Familial Shar Pei Fever, Amyloidosis, entropion, ear infections, and vitamin B-12 deficiency. In North America, from 1982-2015, Shar Peis and mixes have been responsible for 11 serious attacks.